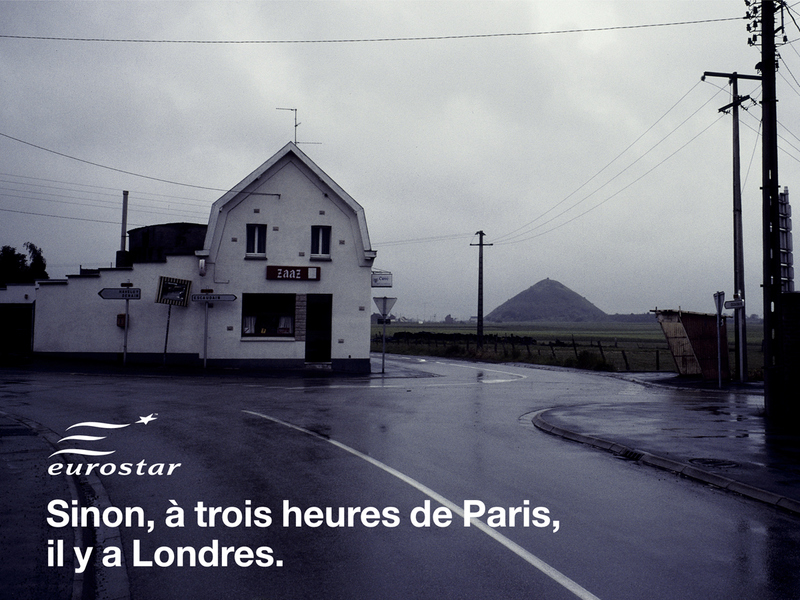 Eurostar is the train that goes between London and Paris. The baseline is "London is only three hours from Paris". 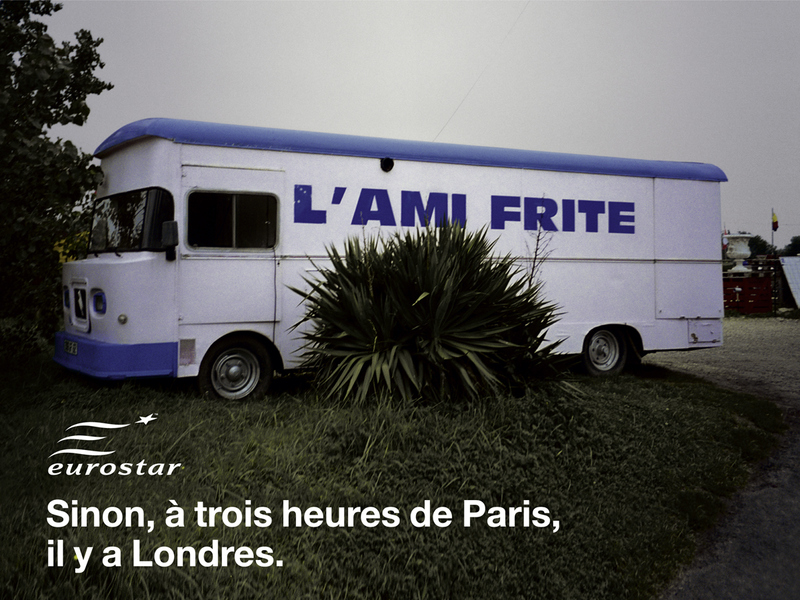 This campaign shows that better than going on a 3 hours trip in a car from Paris, you'd better go to London. The baseline is "London is only three hours from Paris". 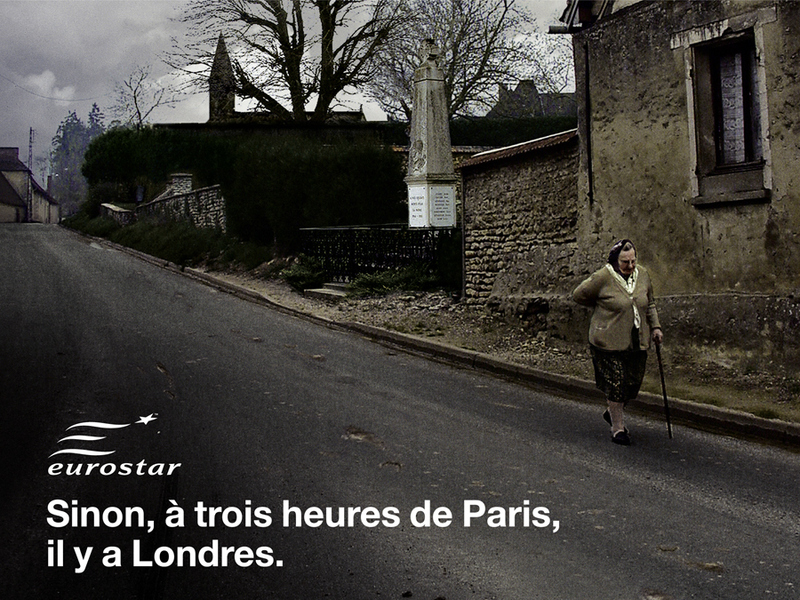 This campaign shows that better than going on a 3 hours trip in a car from Paris, you'd better go to London.